DUBLIN CITY COUNCIL is considering an expansion of its city centre parking zones into the suburbs amid plans to increase parking charges across the capital. During the presentation of a report on changing the city’s parking bye-laws today, councillors heard about proposals to broaden the areas where parking charges apply. The council’s parking enforcement officer, Dermot Stevenson revealed that the local authority was considering an increase ‘high demand’ red and yellow zone areas across the city. It would mean charges would increase in the area of Phibsborough around the Mater Hospital, in Kilmainham, near the South Circular Road and Dolphin’s Barn, south of the city centre in Ranelagh and Rathmines, and to east of the city near the 3Arena. “The rationale is to reflect the increased demand for parking in those areas,” Stevenson said. It comes amid plans to change the city’s parking bye-laws to increase charges for the first time since 2008, with proposals to raise the charge paid by motorists in the yellow zone from €2.90 to €3.20 per hour, and in the red zone from €2.40 to €2.70 an hour. However, there would be no increase in the charge paid by residents for annual or biennial parking permits, or in the cost of 24-hour parking permits for their visitors. 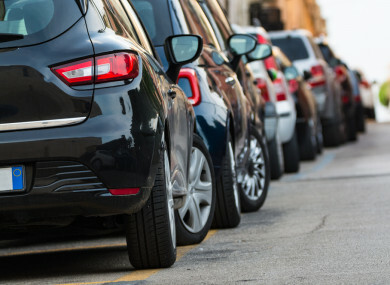 Independent councillor Mannix Flynn told the council’s Transportation Committee that while caution was needed so as not to be “hostile” towards private motorists, locals in parts of Dublin were increasingly frustrated with the lack of parking available to them. “Residents are really pissed off, particularly when they don’t have permits and they walk into their streets and they’re full of cars that aren’t even on the footpath,” he said. The full charges will be considered by Dublin City Council at a full monthly meeting, before going to public consultation. Email “'Residents are really pissed off': Dublin City Council plans expansion of city parking zones into suburbs”. Feedback on “'Residents are really pissed off': Dublin City Council plans expansion of city parking zones into suburbs”.